I suspect it’s high time we cured ourselves of a certain blind optimism in the power of the ‘youth’. Julius Malema, the man who until recently was the controversial President of the Youth League of the African National Congress (ANC), was born in 1981. That makes him almost two decades younger than the PDP’s immediate past National Youth Leader (who was 49 when he died last year); and half the age of his Zimbabwean counterpart, the 60-year-old “youth secretary” of Zimbabwe’s ruling party, ZANU-PF, Absolom Sikhosana. Clearly there’s an obsession with being termed a ‘youth’ in this part of the world – in the right hands it can become a meal ticket as powerful as any other, in any system that runs on the petrol of quota. Much is made of how the youth are the leaders of tomorrow; hope for the future; antidote to the excesses of the old. It’s hard to blame anyone for this, we have seen older generations fail themselves and their children in spectacular ways. Civil servants will by default doctor their ages until it is no longer statistically possible to continue doing so. Presidents refuse to quit their palaces, endlessly reworking national constitutions as though they were personal diaries. This is after all the continent of the Mubaraks and Gaddafis and Ben Alis and Biyas and Mugabes and Wades – clinging on to power long after they have outlived their usefulness, if ever they possessed any. The above and more have conspired to convince us that the answer to our problems is to cut down on the numbers of ‘oldies’ with access to power, and allow the youth to have a shot. Age has since become a problem that needs solving, and young people the obvious answers to the questions of geriatric mediocrity and repression. I hear it all the time, those who insist that until everyone above a certain cut-off age (varies depending on who’s making the argument) is put to death by firing squad, Nigeria will not progress. It doesn’t hurt that Africa has youth in abundance: in 2030, the median age in sub-Saharan Africa will be 22; in the US 39, and Japan 52. But really, does the novelty and exuberance that youth offers guarantee change by itself? Nigeria’s youth no doubt form immense potential energy – half of the country’s 160 million are estimated to be below eighteen. That’s eighty million persons available to form the workforce of tomorrow. (It’s a similar scenario across much of the developing world. Half of Indonesia’s 240 million people are younger than thirty). Should we continue making the mistake of assuming that by themselves Nigerian youth will change their country, and succeed in accomplishing what all those ageing leaders failed at? I suspect it’s high time we cured ourselves of a certain blind optimism in the power of the ‘youth’. The young have it in them to be as clueless and as corrupt and as close-minded as the old. Our social media savvy and general openness to technology will not by itself save us. Almost a third of Nigeria’s 35 million school-age children are not in school. Several millions who managed to be in school might as well be out of it, judging from the state of our schools and Universities. It’s bad enough that yesterday’s generations of relatively well-educated Nigerians could not save the country from collapse. And it goes beyond education. What are we doing about leadership training, and most importantly, in getting young people to be aware of, and to learn from, the mistakes of past generations? We’re where we are today in part because the coup-plotters of yesterday came to power with maximum zeal and minimum preparation for leadership. Valentine Strasser was 25 when he became Sierra Leonean Head of State in 1992 – and entered the record books as the world’s youngest head of state – and still only 29 when he was overthrown in a military coup. His legacy – human rights abuse, and an inability to bring peace to a war-torn nation. It’s a question I’m happy to throw at you. I totally agree. There is a huge gap in the enlightenment of the youth in Nigeria and until this is somehow fixed and sorted out its a waste of energy and time trying to choose optimism as a basis for which it is thought the youth are 'leaders of tomorrow'. There are a lot of misplaced mindsets operating in the minds of a major population of youths in Nigeria despite the urgency of the present hour. I believe everyone must take it upon themselves to enlighten and educate themselves if they really care about their dearly beloved country. A change to me begins with a change in the obscene ideologies eating and crushing the minds of many Nigerians at the moment. And for me as a young person, i do believe that after all is said and done, all shall turn to look for Divine help from the One that makes all things new. Until we get dizzy enough to realise this truth, we will continue to run round and round the same big, high mountain. Well spoken Tolu Ogunlesi. The so called youth already engage in corrupyion and all other vices they are accusing the leader of. In their offices,place of business and in their daily activities. If you are not faithful in little things,how do you expect to be when thrust with a greater responsibility. Most are lazy and always opt for the easy way out. I'm in agreement with the general tone of this article, a deliberate faltering in the hurrah that is the enthusiasm of young people to get into leadership and attempt to change things. However, Chicasa makes good points on accountability and the burden/pressure to perform. I am hesitant to place too much faith in intangibles like these but it is in the establishment, the "making common-place" of these intangibles that makes the Millennials such a powerful force. I am afraid though that "good enough" will simply replace atrocious, in governance. Thank you Tolu, for making us pause. 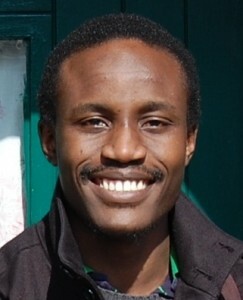 Tolu Ogunlesi stands out in any crowd of Nigerian commentators because he has managed to purge himself of that toga of self-righteousness that is the trademark of most Nigerian public commentators/analysts/activists etc. It is for this reason that I read anything that has his name to it, even (especially) when I don't agree with him. Mr Steve Nwosu of FrankTalk fame is the only other public commentator who has earned this distinction. But Tolu I already "gave a basis" – I said this: y sheer virtue of distance from power as well as the fact that this set of young people are rising into leadership in a flatter, globalised world the systems of accountability et al put a greater burden on them and ensures a fundamental difference. Aren't you an advocate of the same things above? I understand the need to be self-critical but this is a tad bit simplistic. By sheer virtue of distance from power as well as the fact that this set of young people are rising into leadership in a flatter, globalised world the systems of accountability et al put a greater burden on them and ensures a fundamental difference. Yes, it will not be a miraculous shift from the past – but the reality is not that we will be the same as our fathers. The reality stands somewhere in the middle. I love this article, but then; i love everything with Tolu Ogunlesi attached to it. This piece says it all; our problem is not that old people are at the helm of affairs but rather that men of integrity are few and far between. I work in the public sector, related with a lot of the so called 'youths'; sadly, their mentality about governance and public service is no different from what has been obtainable in past years. Corruption like an epidemic has already infected every facet of our national life; like the air we breathe, it is almost essential to survival in the dog eat dog soceity we live in. For many youths, it is the life they grew up to, the only way of life they have ever known. Its like the popular saying goes,"if you cant beat them, to survive; join them"! Solving Nigeria's myriad of problems and repositioning the nation for 21st century global relevance is beyond passing the batton … we need an ideological reconstruction (or revolution if you prefer) of sorts! Apt!!!! Most of the Govs sworn in 1999 were in there 40s, a huge chunk of our legislators at all levels are youths, the so-called 'old politicians' have youths as there Special Advisers, Aides et al. From the First Republic to this present republic, 'Nigerian Youths' have featured at all level of governance. Gen Obasanjo, Gen Gowon, Gen Muritala, Gen Buhari, Lt. Col Marwa, Lt. Col Akintonde, et al were youths when they ruled us so whats the assurance that this generation will do any better. If the assumption is based on a silly 'this-is-our-time mentality', then we aint ready yet. We need good leaders; young or old, it doesnt matter. By the way, i thought 'age aint nothing but a number'?